We are a mixed farm set across 1600 acres of Cotswold Brash, the stony, thin and relatively heavy soils that run through Gloucestershire, Wiltshire and beyond. The farm is at roughly 350 m with an average rainfall of 28 inches. The main operation of the farm is dairy and beef production; we keep around 400 Holstein Friesians and their followers for dairy, and 400 beef cattle. The farm is split between arable and pasture. We generally grow around 250 acres of winter wheat, 320 acres of maize and occasional crops of spring barley, all of which is used as feed for the dairy herd and beef unit, with the straw used for bedding over winter. We also have 800 acres of grassland, 500 of which is permanent pasture and the remaining 300 being in temporary clover and grass leys which we rotate with the arable. 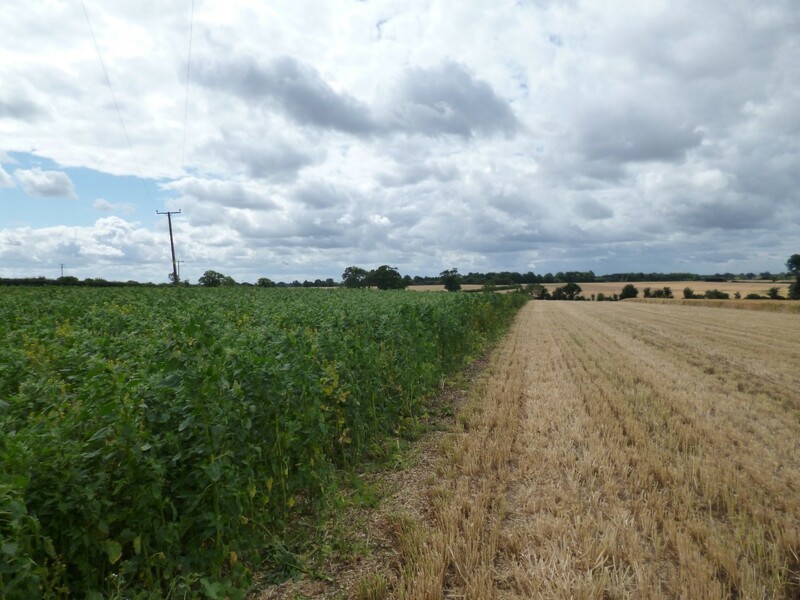 In the next few years we will bring herbal leys into the rotation, in an attempt to reduce fertiliser and feed supplement costs, and provide for pollinators. 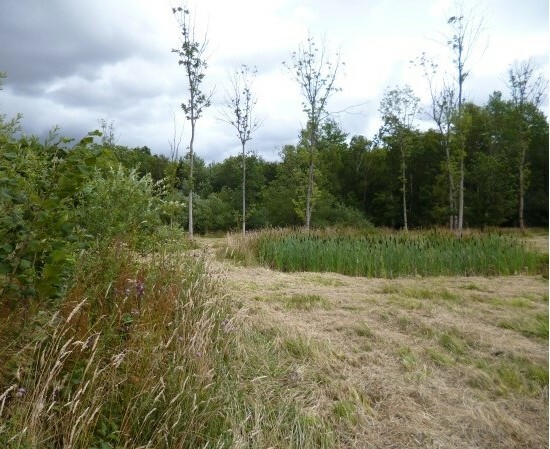 The remainder of the farm is split between 150 acres of woodland, and 80 acres or so which is put aside for wildlife under a Higher Level Stewardship (HLS) scheme. 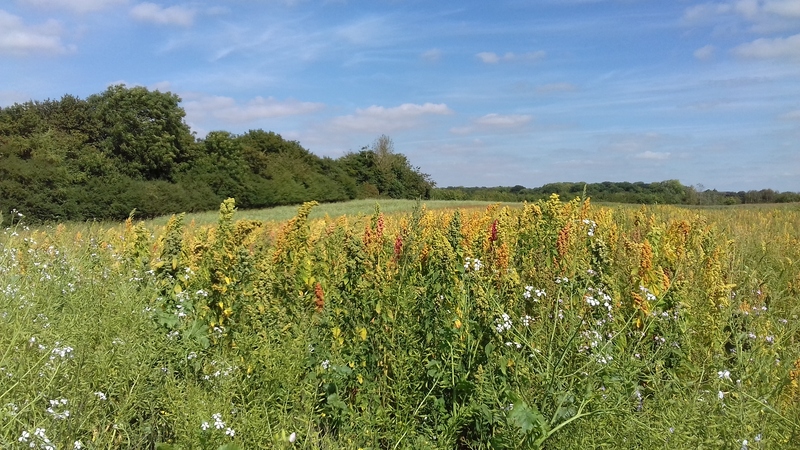 We have 30 acres of wild flower margins, 35 acres of wild bird seed mix, and we leave 20 acres of cereals unharvested to help feed wild birds over winter. This has been hugely successful in increasing wildlife populations on the farm. At present, the milk and Aberdeen cross beef cattle are sold to Waitrose, while the Friesian steers are finished and sold to Meadow Quality. 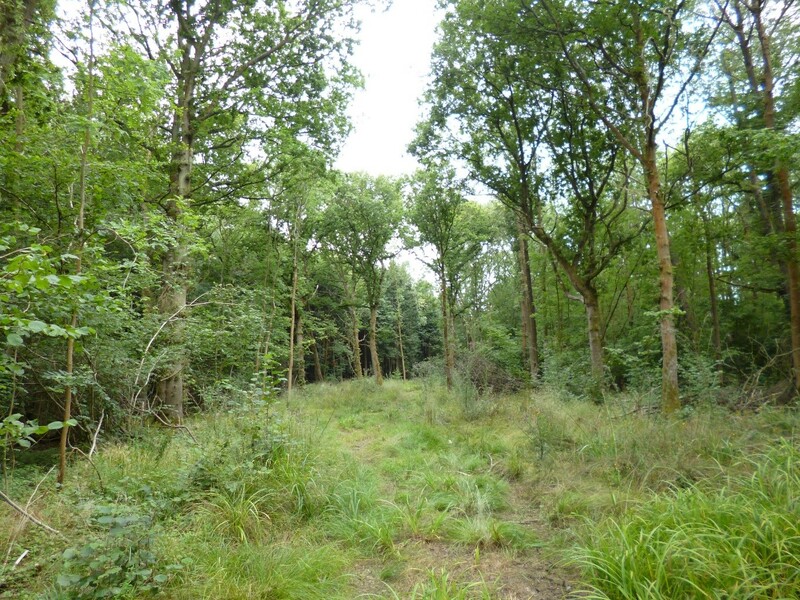 The farm includes 150 acres of woodland that is a mix of conifers and native broadleaf. 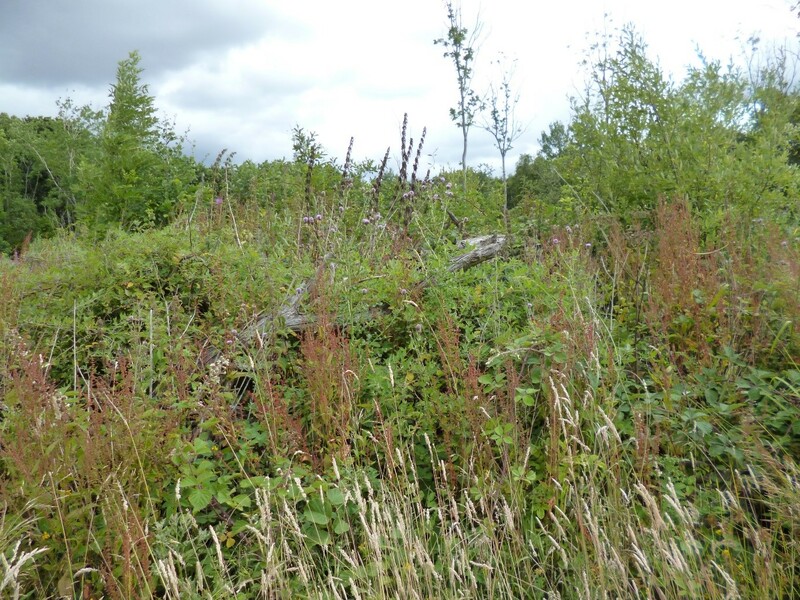 With HLS support, the conifers are slowly being removed and there is natural regeneration of oak and ash. Some of the felled wood has been used to build a cabin on the edge of the woodland that is now used for weekly education activities. The roughly even mix of arable and grassland on the farm is helping to move us towards self-sufficiency for animal feed and bedding throughout the year, while also building up soil fertility and organic matter through rotations and the use of farmyard manure (FYM) as our primary input. Over the last decade, we have reduced bagged fertiliser use by over 50%, and now buy in minimal nitrogen and no phosphate or potash. This has been gradual, with the decrease in bagged fertiliser made possible by the considerable increase in soil organic matter and microbial activity. We expect this trend to continue into the future and gather pace once herbal leys are introduced into the rotation. Our rotation is relatively simple. Each year, 60 acres of arable is put under a five year grass and clover ley, with a total of 300 acres in the rotational ley at any one time. Meanwhile, we leave 150 acres of winter stubble each year, which is ploughed under in spring to increase organic matter in the soil, after providing food for birds over winter. Early varieties of maize are used, so as to allow winter wheat to be direct drilled in straight after harvest and develop good ground cover before the winter rains begin. In this way, we always have cover over the soil and can avoid taking heavy machinery over when it is wet. A few years ago we stopped using slurry in favour of FYM, in an attempt to increase worm populations. This has been one of the most successful moves we made, with a massive increase in the number of worms evident in the years since. The muck heaps are kept outdoors, where they attract huge numbers of swifts and swallows, before being spread at about 20 tonnes/acre. Our yields for the arable operation have grown over the years, and are now slightly above average for the area, predominantly due to the fertility provided by the cattle and rotational ley. Winter wheat harvests at about 3.5tonnes/ acre, and maize at 15 tonnes. Milk yields are around 9,000 litres. The end goal is to become completely self-sufficient in feed, water, fertiliser, electricity and if electric tractors come then fuel. Since we entered into the Higher Level Stewardship Scheme in 2010, the increase in wildlife on the farm has been staggering. It is rare these days to walk across the farm and not see a flock of yellowhammers, often of up 300 birds or more, feeding on the winter seed, alongside linnets, corn buntings and more common songbirds. A variety of red listed species have also arrived; curlew, lapwings, tree sparrows and grey partridges all winter or breed on the farm, and dozens of brown hares raise their young in the long grass. We have sown 30 acres of field margins with wildflowers, tailored to the limestone soils. This has drawn in a variety of butterfly species and other pollinators, and created habitats for the hares, grown nesting birds and small mammals, which in turn have attracted large numbers of birds of prey. We top the 30 acres every year, and the hay is used as bedding for the far off dry cows after milking. The 35 acres of wild bird seed mix contains a mix of crops designed both for their high yield of seeds, and for the integrated benefits they bring to the farm. Each spring, we plough this in and rotate to a different plot, switching the one year and two year mixes around the farm and allowing for weed control which is essential to the successful production of winter seed. Planting wild bird seed mix alongside ensures small seeds are available over the winter to support farmland birds. Highly efficient modern combine harvesters leave little seed behind, so plots like these are essential for supporting farmland wildlife. We have over 200 skylark plots on the farm, 10 acres of fallow land for breeding lapwing and other ground nesting birds, a range of tussocky grassland that is cut in rotation in order to support the small mammals which feed the barn owls, and 12 ponds which attract a wide variety of wildlife. One of 10 ponds on the farm, which are built into the surrounding habitat to maximise benefits to a wide range of wildlife. I am a farmer’s son who left school at 16 to start work on the family farm, becoming a partner at the age of 30. Over the last 25 years, the farm has expanded from 350 acres to 1200, growing to keep up with the changing demands of the British food market. The ultimate goal on the farm is to become entirely self-sufficient, producing all of the feed, water, energy and fertiliser that we need to sustain our stock. Many aspects of this rely on drawing upon old knowledge of organic farming systems, while others involve embracing new technology such as solar and wind power and, when they come, electric tractors. The limestone brash soils present a challenge to farmers, but an invaluable resource to wildlife. We look to support and enhance habitats around the farm wherever possible, making space for as many species as possible in and alongside the agricultural land. In 2017, we won the Farming and Wildlife Advisory Group’s Barn Owl Trophy for sustainable food production and wildlife conservation. The implementation and integrated management of these wildlife spaces was cited as an important reason for the farm’s success, which helped reinforce the value of everything we have been doing here and motivate us to continue into the future. In 2018 we won the Waitrose & Partners Farming awards for Environmental sustainability in Livestock systems. Rotate crops with pasture to build organic matter and feed the soil. As winter bird mixes are establishing, keep an eye on them every other day. To ensure the success of wildlife mixes, you need to be as attentive (if not more so) to them as you are to the crops. All images courtesy of Sarah Wells, FWAG. All rights reserved. With thanks to FWAG South West (Luke Dale-Harris), for collaboration with this profile.